Gil Sharone, artistul care a stat in spatele tobelor Marilyn Manson in ultimi 5 ani a decis sa paraseasca formatia. Sharone a inregistrat doua albume alaturi de Manson, 'The Pale Emperor' si 'Heaven Upside Down'. 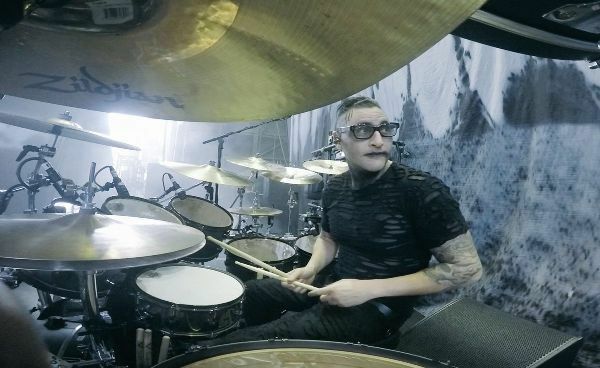 Acesta a anuntat pe facebook faptul ca a decis sa paraseasca trupa: "After five amazing years playing drums for @marilynmanson, I've decided to leave the band. It's been one of the highlights of my career but it's time for me to pursue other current and future projects. Much love to @marilynmanson and the homies I shared the stage with; @jeordie @tylerbatesofficial @paulwileymm @j_alderete and to the fans. It's been a blast."